B.A. in Mathematics and Physics at the Technion. M.Sc. in Mathematics at Stanford University. PhD in Mathematics at the Hebrew University. Very interesting lectures in different areas given to the members of the Program on a regular basis. I was able to take advanced courses even though I did not have the prerequisites." Recommendation to Program participants: "If you already know what field interests you, take as many advanced courses in this field and in "tangent" fields. This will be very fruitful for future research". 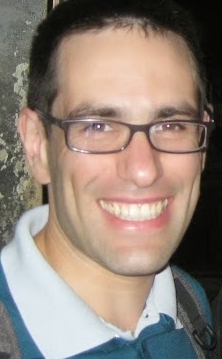 Today (2018): Yonatan is currently an Associate Professor at the Institute of Mathematics of the Polish Academy of Sciences in Warsaw, Poland. Before that he held postdoctoral positions in Tel Aviv University, Université Paris-Est Marne-la-Vallée, University of Cambridge and University of Oxford.